← Blackhawks Free Agency: Second City Seconds? Blue Jackets Free Agency: Bobbo’s Back! 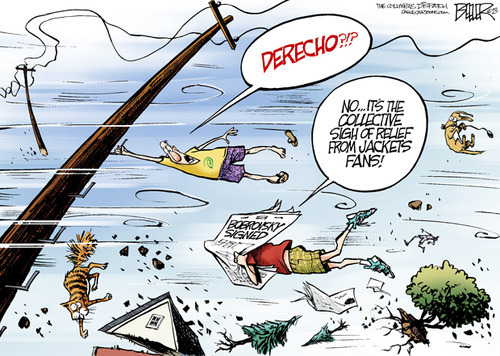 To be completely honest, a vast majority of the Blue Jackets’ fan base was only half-heartedly excited about the NHL Draft because we were all in a semi-panic ridden state due to the uncertainty of Sergei Bobrovsky’s future in Columbus. Luckily, Bobbo is locked up for two more years, so we can all breathe a sigh of relief. The Bobrovsky signing (that sounds like a Dan Brown novel) was not the only big non-draft story, but we will get to that later. 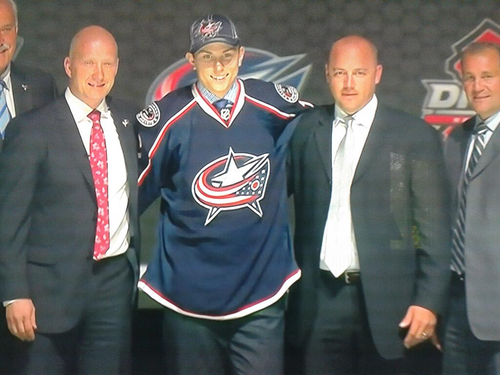 For now, the Jackets’ three first round picks need some analyzing. The Jackets had the 14th, 19th, and 27th overall picks in the first round this year, and used those picks to add depth up the middle, and a potent scoring punch. 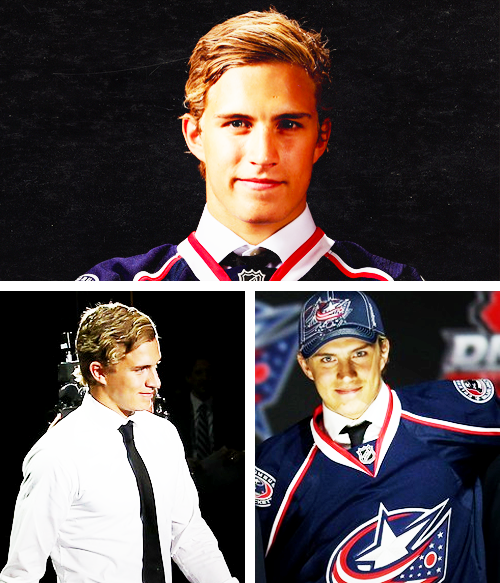 Selected 14th overall, and the Jackets’ first pick of the 2013 NHL Draft, was Alex Wennberg (Sweden). The 6’1” 190lb center is a speedy 2-way forward with exceptional vision and hockey sense. His instinct and overall physical skills helped him net 14 goals, and assist on 18 more for a point total of 32 in the 2012-13 season. Wennberg was a +10 player on Djurgardens IF Stockholm last year. The Jackets needed stability, speed, and a defensive approach to mesh with Kekalainen and Davidson’s new vision. Anisimov brings offensive prowess up the center, while Dubinsky adds leadership, defense, and grit. Johansen bring size and physicality, and Mackenzie is a grinder. Wennberg, should development camp go well for him, will likely step into the third line center position, knocking Johansen to 4th and Mackenzie as a healthy scratch or to the AHL. The penalty kill is likely a assignment for Wennberg as well. 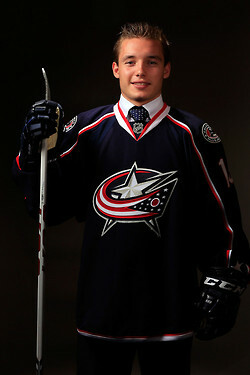 Kerby Rychel (USA) was the 19th overall selection, and the Jackets’ second of three first-rounders. The scoring machine from the Windsor Spitfires (81 goals in two seasons – 162 points) should help solve the Jackets’ scoring woes along with the big free-agent pickup. Rychel is an aggressive left winger with the ability to agitate opponents. The 6’1” 205lb forward is the biggest first rounder for the Jackets this year, but that does not mean size is one of his assets, though he uses what he has very well. Rychel is a physical forward with offensive prowess, which should fit well with the Jackets’ newfound style. Mark Dano (Austria) rounds out the Jackets’ first round trio. The 2-way center out of Bratislava Slovan has excellent instincts and should progress well through the Blue Jackets’ system. It is doubtful he will see much, if any, NHL time outside of preseason, mainly due to depth and age, so the next year or so in Slovakia is a great opportunity for him to improve his all around skill set. At 5’11” 185lbs, Dano is a small to mid size center, which usually means his speed and agility need to be far ahead of his larger counterparts for him to be effective at the NHL level. I foresee Dano as a skilled depth center, perhaps an NHL 4th liner, once he makes the transition to North American hockey. One thing Wennberg and Dano will need to do in order to make a significant impact on the Blue Jackets is adjust to the smaller ice surface. European leagues play on a surface 200ft x 100ft, while the North American hockey plays on a 200ft x 85ft sheet of ice. The 15ft difference changes the game considerably, and adjusting to the condensed surface can be a real challenge for European players. Speaking of European players, Wennberg, Dano, Bjorkstrand (DNK – 3rd round), and Soberg (NOR – 6th round), push the Blue Jackets’ European player totals to 11, including depth players within the organization (Vinny Prospal not included in tally due to current UFA status). This unprecedented move by Kekalainen to add the European influence to the Jackets’ organization is one that many are saying is the direction the team needs. Overall the Blue Jackets drafted very well. They did not trade up or down in this draft, yet still walked away from the draft floor with 8 prospects, all with significant NHL or AHL potential. Aside from drafting well, the Blue Jackets not-so-quietly rocked Free Agent Frenzy by securing former Boston Bruins right wing Nathan Horton. The Stanley Cup Champion signed a 7 year, $37.1 million contract with a no-move clause for the first four years, and a no-trade clause for the remaining three. 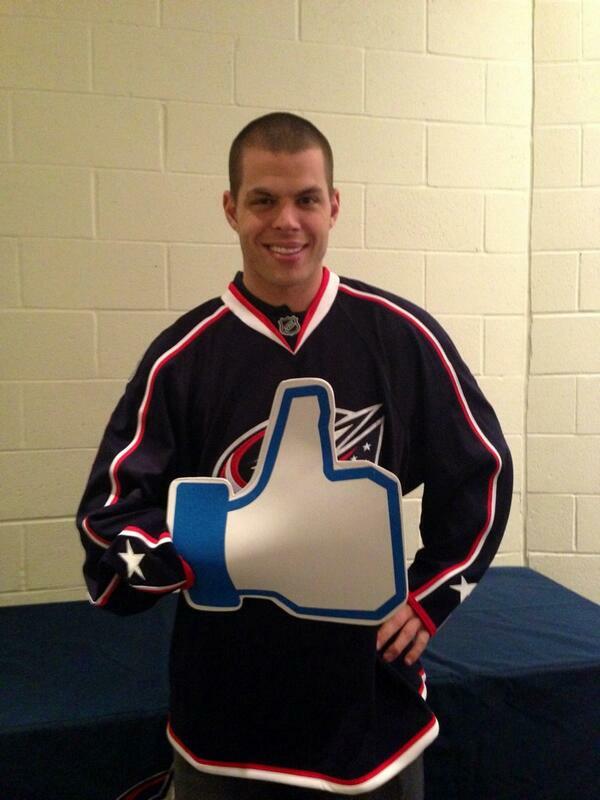 This means 28 year-old Horton plans to stay in Columbus until he nears the end of his career. Unfortunately for Horton and the Blue Jackets/fans, shoulder surgery will sideline the new top 6 forward for 4-6 months, putting his CBJ debut around December or January, if all goes well. The Jackets also added more depth to their right side with Jack Skille, a UFA coming off a modest season with the Florida Panthers in 2012-13. The defensive core added another depth player in Frederic St. Denis, fresh off a two-way contract in Montreal/Hamilton. After signing Bobrovsky to a new two-year deal, Kekalainen went out and signed two solid goaltenders to two-way contracts; Jeremy Smith (formerly with the Nashville organization), and Mike McKenna (formerly with the St. Louis organization). Curtis McElhinney signed a one year, one-way deal with the Jackets a few weeks prior to the Bobrovsky deal. Chances are McElhinney and McKenna will fight for the backup role under Bobrovsky. Keep in mind, a one-way contract does not preclude the Jackets from sending McElhinney to the AHL. Due to McElhinney’s status as a veteran minor league player under the CBA, he is not subject to the re-entry waiver system, which, if I understand the bylaws correctly, means the Blue Jackets and freely move McElhinney and McKenna throughout the season. Seeing as McElhinney’s cap hit is only $5,000 more than McKenna’s, the financial impact of moving the goaltenders is close to identical. The Jackets currently have 8 goaltenders or prospects within the organization: Bobrovsky, McElhinney, McKenna, Smith, Dansk, Forsberg, Korpisalo, and Ouellette. The Blue Jackets have taken serious steps in rebuilding the team into playoff contenders. Kekalainen and Davidson have done an exceptional job in cleaning up the mess Scott Howsen left in Columbus. From adding the European influence, to acquiring scorers, to strengthening goaltender depth, the Blue Jackets are well-primed to win, and develop long-term success. This entry was posted in Columbus Blue Jackets and tagged Alex Wennberg, free agency, Kerby Rychel, Mark Dano, Sergei Bobrovsky. Bookmark the permalink.